Depending on configuration, cero has one, two, or three tracks. For addition track options, please contact NanaWall. Open and fixed corners possible. cero II panels with double insulated glass have 2 carriers per panel and cero III panels with triple insulated glass have 4 carriers per panel. Floor supported cero panels are operated by carriers containing a pair of wheels with encapsulated and self-lubricating ball bearings. cero's stainless steel wheels slide effortlessly on a stainless steel track. To maintain the sleek minimal look, each carrier is concealed within the bottom panel profile. NanaWall Floor Supported Technology assures that the rollers run above the water table and the design allows for continued long term smooth operation. 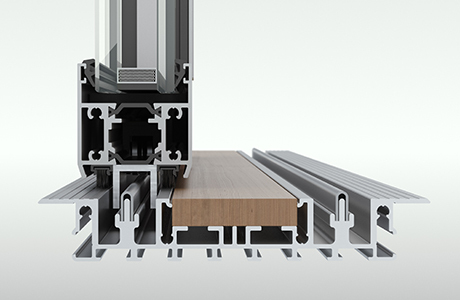 To compensate for potential future building movement, cero's thermally broken Higher Weather Perfomance Sill offers height adjustability of up to 1/8" (3 mm). cero's panel and floor track thermal breaks are in alignment for optimal energy efficient. 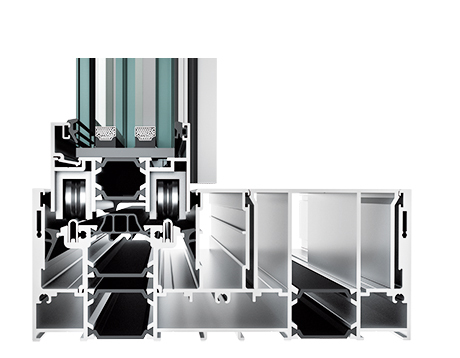 cero's Higher Weather Performance Sill is fully recessed into the floor creating a clean uninterrupted transaction from interior to exterior. Optional track insert in a coordinating finish is available to meet ADA requirements. Track drainage provided by an engineered cascading water management system. For installations requiring even greater drainage due to exposure, a matching French drain system by others is available. The Higher Weather Performance Sill is thermally broken. 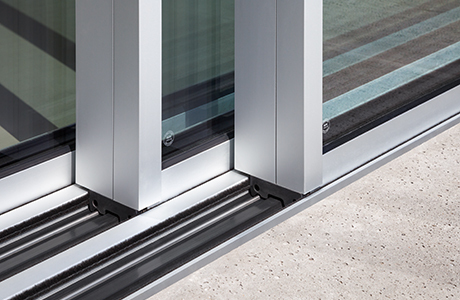 Aesthetically Disappearing Floor Track: cero’s Flush Sill option is available for sheltered or interior environments creating aesthetically seamless transitions between spaces. 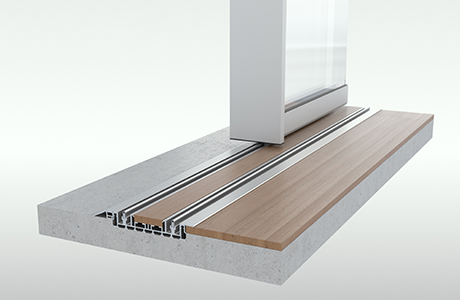 The minimal Flush Sill is fully recessed at a shallow 7/8” (23 mm) into the floor. Finished flooring inserts can be easily installed in between the tracks making these sills virtually disappear. Sill designs also make for easy cleaning and maintenance. 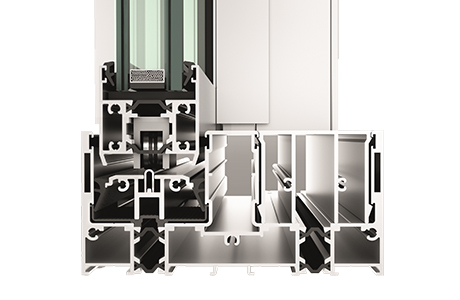 cero II's Flush Sill is non-thermally broken. The Low Profile Saddle Sill is recessed at an even shallower 7/16” (11 mm) for surface mounted installations, while the Flush Saddle Hybrid Sill is designed to work with varying interior and exterior finish floor heights. The Low Profile Saddle Sill and the Flush Saddle Hybrid Sill reduces sheeting rain from entering the interior. For commercial environments, such as retail, hotels, and auto dealerships, the Flush, Low Profile Saddle and Flush Saddle Hybrid sills all meet ADA requirements. cero II's Saddle Sill and Flush Saddle Hybrid sills are non-thermally broken.